10 or 25 Series 1/4-20 Triple Economy T-Nut & (3) 1/2″ long Button Head Cap Screws, TNUTZ Part #COMBO-010-C. The T-Nuts will fit in the 10 or 25 Series extrusions and can only be loaded from the end. These Nuts are the Economy Style and great for light-duty applications. Made of carbon steel and have a black zinc finish. 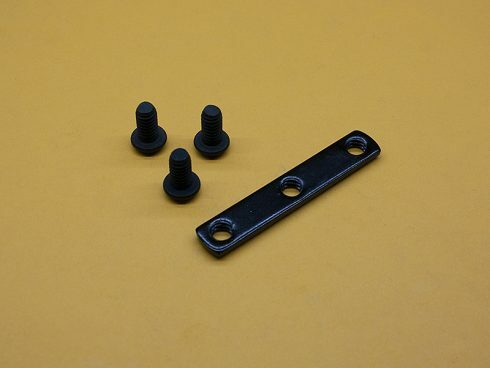 This combo is perfect for connecting all the 3/16″ thick corner brackets and joining plates to the extrusions. – These T-Nuts will also fit in AcuFrame, Frameworld, ITEM, MAYTEC & PARKER IPS extrusions.